After the recent elections, the Democrat Party has a “super” majority in both of Oregon’s Legislative chambers. They also own the Governor’s office. This means they have a 60% majority in the legislature and can pass any tax or spending increases without pesky Republicans getting in the way. While their goals may appear noble, admirable or desirable since they defy logic, science, and fiscal rectitude they cannot provide Oregonians with a viable future. They can only lead to a larger, more rapacious state government. Nevertheless, the majority appears willing to use a gunsmoke and mirrors campaign to mask attacks on our Constitutional rights while promoting their own Utopian agenda. They desire a world where wealth and prosperity are abundantly available and evenly distributed. But nothing in the universe is equally distributed; not height, weight, melanin, academic abilities, artistic aptitude, creative genius or mechanical inclinations. Today's Utopians want free universal healthcare but keep driving the costs higher and higher while the care gets worse and worse. They want low-cost or free college education for today's students who will end up paying for it tomorrow. They also promise jobs galore and high-tech employment for everyone, yet the market has no way to efficiently respond to this temporary, abnormal and artificial flood of competing job-seekers. The reason Utopian dreams don’t work in the real world is because they don’t account for scarcity, human resourcefulness, compassion or commerce. Human-beings are our only true source of wealth. Wealth does not come from our state’s untapped natural resources or from state government. It does not come from our rivers, forests or land. These things become productive resources only through the innovation, creativity and genius of working people. Without the rich contributions of hard-working Oregonians, we would never have had lumber, crops, beef, concrete, wine, milk or cheese. Only men and women can supply the creative genius to turn natural resources into usable goods that improve the well-being, quality and health in our lives. This means however, that Oregon must be willing to allow people to create and keep the rewards that flow from their voluntary engagement in the free-market system. Confiscating the fruits of a person’s labor will naturally remove their desire for work. While this may sound like common-sense, I fear our governor has missed this point. The Democratic-socialist party’s legislative agenda includes enormous disincentives for productive labor, capital formation and investment. History tells us that increasing a tax, like the "sin taxes" on inhalant products, cigars and cigarettes will decrease their consumption. Yet, no one asks what might happen to the productive industries for malt beverages and wine when taxes are applied to those products. Also, imposing higher taxes on personal, corporate, and out-of-state income will decrease the activities that produced that income, not the other way around. The same negative consequences will impact our transportation industries as higher boating fees, aviation, diesel, and gasoline fuel taxes are bandied about. Lastly, increasing our property taxes is supposedly the price we have to pay to live in Oregon. What’s left to tax or regulate out of existence? Ohh, yeah, … our 2nd Amendment rights! The gunsmoke and mirrors gang is just getting started. Their propaganda message is, “Oregon’s children are only safe in gun-free zones.” In other words, your home must become a gun-free zone. 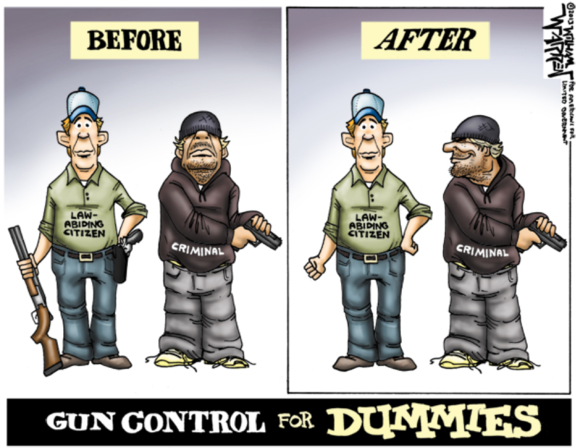 However, we know that gun control laws only work for law-abiding citizens, which by default means only law-breakers and criminals will own firearms. They note, “This concern, statistically speaking, is fairly irrational. You are far more likely to be killed by being beaten or stabbed than you are to be killed by any kind of rifle, ‘assault’ or otherwise.” Their timely podcast goes through the actual numbers, here. Liberty and respect for the individual demands that we act in the interest of the individual – not in the interest of the state. If we don't stand for rural Oregon values and common-sense – No one will!